Parenthood is full of joy, but it’s never free from worry when it comes to the safety of our children. 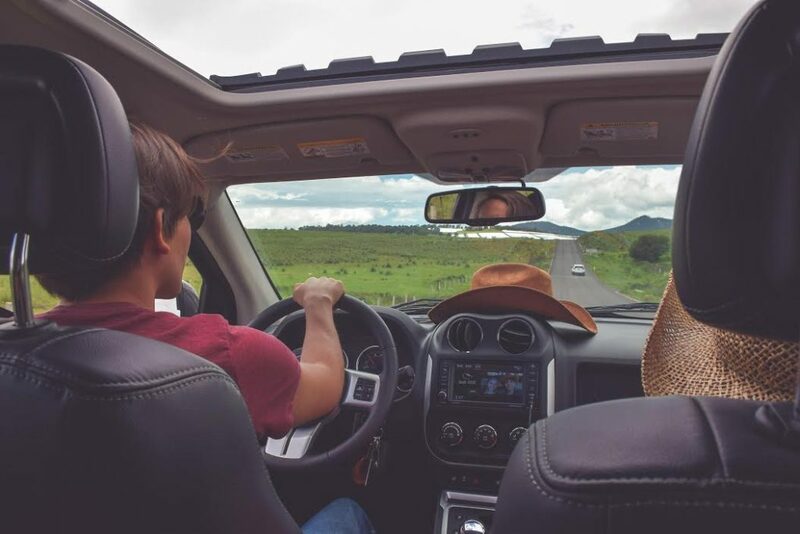 If you have a newly licensed teen driver in your household, it can be an exciting time and another step to becoming more independent, but as a parent, it may be hard to hand over the keys and let them drive away on their own. Even if you don’t have a teen driver in your household, you may have a teenaged babysitter who helps you out by picking up your kids from school or other extracurricular activities. As we all know, the roadways can be full of hazards, and for inexperienced teen drivers, it can be even more dangerous. Among all of the roadway dangers, distracted driving is a major contributing factor in accidents among drivers of all ages, particularly younger drivers. According to the National Highway Traffic Safety Administration (NHTSA), there were 3,450 fatal accidents in 2016 involving a distracted driver. Even though your teen’s smartphone may provide the biggest distraction while driving, peer pressure can play a large role in whether or not your teen drives distracted. It’s important to remember that distracted driving is more than just texting while driving, but rather it’s any activity that takes a driver’s eyes and mind off the road and hands off the wheel. Is Your Teen’s Driving Affected By Peer Pressure? Some studies suggest that teen drivers become more irresponsible behind the wheel, are more likely to make errors, and increase their risk of an accident when they have passengers in the car (especially if the passenger is a peer). Texts from friends, notifications on social media, and even driving “challenges” from peers can all play a significant role in how safely your teen drives and the attention they have on the road. Just a taking one’s eyes off the road for a few seconds to glance at a text, hit the record button on the camera, or reach for a sandwich can have life-threatening consequences. Carpooling with friends or driving around on a Friday night are all common things that teen drivers do, but it’s important to discuss distracted driving with your teen and help them eliminate peer-related distractions. While you may not always keep your teen from having a passenger or riding in cars with friends, you can set rules about who and when they can drive with others. It’s also a good idea to discuss ways to feel the freedom and enjoyment of driving without risking their safety. Encourage your teen to eat outside of the car and setup a music playlist before they start driving. Remind your teen to keep eyes on the road and avoid driving with friends, especially if they are dealing with stress or arguing. Tell your teen that it’s okay to ask passengers to be quiet or say “no” to any risky behavior. You can’t always keep your teen safe while they drive, but you can give them the knowledge and tools they need to stay safer and free from distractions.